On Friday 3rd August 2018 A Bharatiya Janata Party (BJP) Lok Sabha MP Harinarayan Rajbhar raised this issue “sufferings” of married men at the hands of their wives during the Zero Hour in Lok Sabha. Overwhelmed by his courage to talk about men’s issues which many Men’s rights NGOs waiting for decades, and on 6th August our MyNation Hope Foundations team members of Delhi arranged meeting with him and met him in his resident. 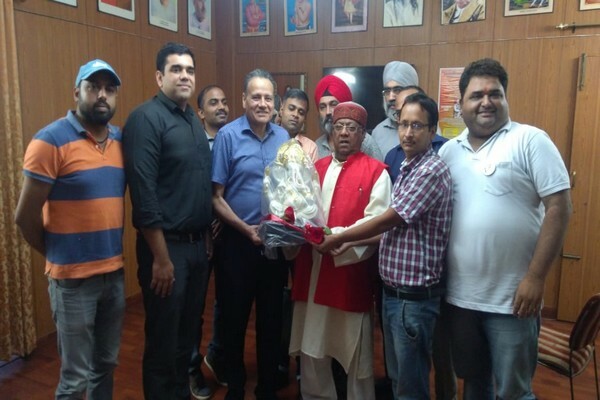 Vice President Kishore Mehra along with Secretary Gurinder Sambhi of the NGO along with many other members visited him and wished him for his daring act and Speech on ‘Purush Aayog‘ and also Presented Lord Ganesh Idol hoping Indian Men problems will be solved once Ministry for men is setup. As of now there is no ministry or Legal department to handle, guide and settle Marital disputes of Men. Along with memento they submitted NGO memorandum and copy of the Petition they filed with Rajya Sabha [Source: https://mynation.net/rs/] and urged to setup ‘Purush Aayog’ as in line with ‘mahila aayog’ (women’s commission). He acknowledged “Many men are suffering at the hands of their wives and several of them are locked up in jails. I demand that the government set up a ‘Purush Aayog, Commission for married men’ to resolve their issues and problems” and asked us to send him brief of our NGO demands in Hindi so he can forward it to PMO. TODAY ITS A SMALL STEP FOR US BUT I WILL BE GIANT LEAP FOR OUR CHILDREN. FOR SURE WE WILL MAKE BETTER FUTURE FOR THEM Founder of NGO Tweeted. 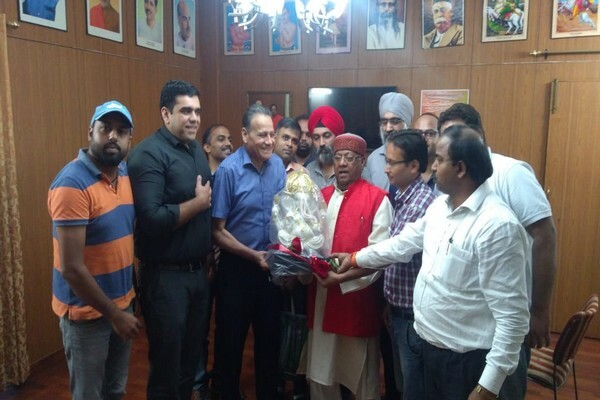 I sincerely thank Rajbhar Sahab for taking an initiative for the suffering men.